There is a risk for severe storms across much of Four State Region today and into this evening. The main threat this morning will be large hail and damaging winds. However, the threat will increase this afternoon during peak daytime heating. 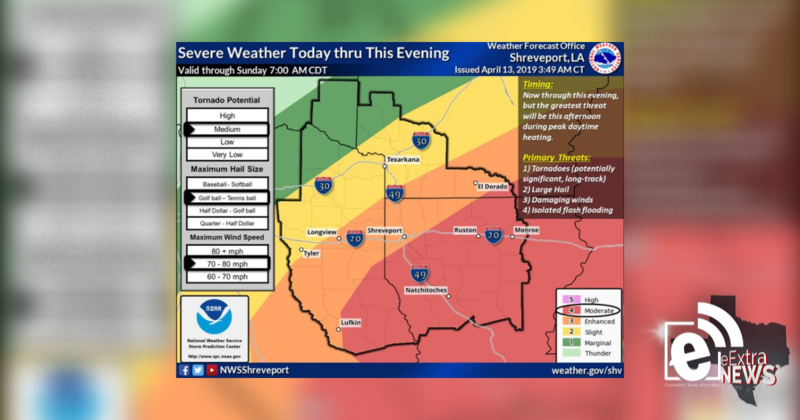 Tornadoes, large hail, damaging winds and locally heavy rainfall will be possible. The severe weather threat should diminish by late this evening.